Huawei P9 and P9 Plus are the current talks of the town. These two have simply come in to outdo what the Chinese company did best less than a year ago with the Nexus 6P and Huawei P8. 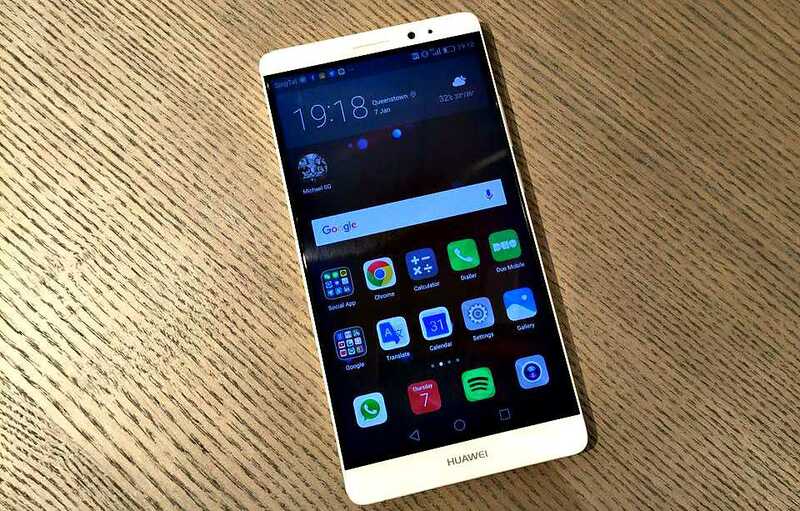 It gets even better as the latest rumors claim that the company is also working on a successor to the magnificent Huawei Mate 8. Dubbed the Huawei Mate 9, this device will pick up from where the Huawei P9 and P9 Plus left as far as the camera specs and processor are concerned, this time featuring a dual-camera setup with a massive 20MP sensor as well as a newer Kirin 960 SoC. The current Huawei P9 and Huawei P9 Plus come with a HiSilicon Kirin 955 SoC – a massive octa-core chipset that promises one of the best performances in 2016. However, the latest reports claim that the Huawei Mate 9 will get even better with the new Kirin 960 SoC. The chipset will ditch the Cortex A72 cores used in the 955 SoC in favor of new Artemis cores, but the Cortex A53 cores will be retained. Further deeper into the Kirin 960 you’ll find improved graphics card, this time ditching the quad-core Mali-T880 MP4 unit in favor of an octa-core unit. As mentioned earlier, the recently announced Huawei P9 and P9 Plus have some amazing camera technology in the shape of dual-camera. Technically, the two have two 12MP sensors on the rear that ensure users get the best shots possible. Now, for the upcoming Huawei Mate 9, it is said that the Chinese OEM will stick to the dual camera setup, but step up the megapixel count to 20MP. This is really cool, but considering the recent discovery by many companies that the number of megapixels does not always matter when it comes to quality photos, it is highly doubtful that Huawei might take this lane. To cast even further doubt into this new rumor, Huawei’s vendor, Gizok, has something else in its listing. According to the listing, the Huawei Mate 9 will come with the same specs under the hood as the current Huawei P9 series. In addition, the vendor indicates that the Mate 9 will feature a 16MP camera on the rear and an 8MP selfie camera. Other specs of the rumored Huawei Mate 9 include a RAM of 4GB and expandable onboard storage of 64GB. On matters of display, Huawei is believed to be working on a 6-inch gizmo that will feature a resolution of 1080p and powered by the latest Android Marshmallow.